But we do not habitually set time aside to take care of our emotional health. So how about we start playing a game together – let’s set up a simple common goal for today. 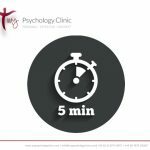 Find 5 minutes – just 5 minutes (!) – set up your timer if you have to, and then just STOP. Stop doing whatever it is you are doing. Just sit comfortably or lie down if you can, close your eyes or keep them open if you wish and just stay there breathing in silence. Try to do NOTHING. Think of your attention like a spotlight that shines on different objects. You have the ability to direct it wherever you wish. So if you find your mind wandering to thoughts, just take your attention back to your breath so you can keep playing the game. So, who’s in? I’ll go first.